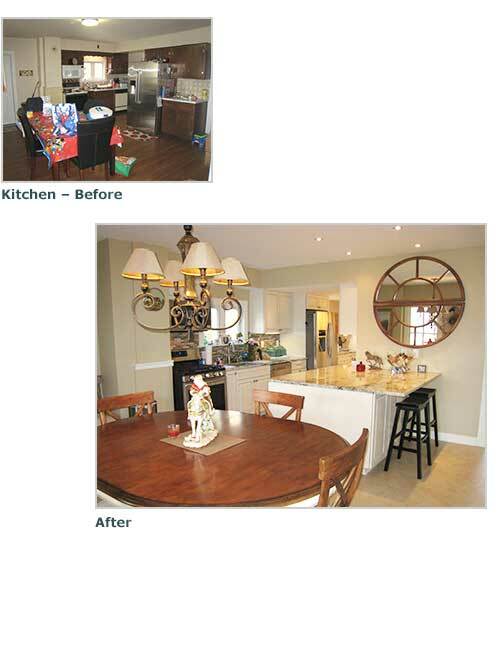 Before moving back into her childhood home, my client decided to renovate, update and decorate the entire house while it was empty. The kitchen and bathrooms were gutted, carpet came up, drop ceilings and paneling came down. Floors were refinished, ceilings and wall patched and painted. All new kitchen and bathrooms went into place. Nothing went untouched. Then we decorated every room, adding furniture and art to compliment what she already had. Enjoy the photos!